You will love the easy to use metal D-ring buckle on our Yoga Strap! Perfect for yoga studios or home practice, yoga straps make hard to grasp limbs a little easier to reach and hold onto, while slowly improving flexibility and posture. Our D-ring clasp is easy to adjust, won?t break or bend, and won?t slip on sweaty skin. 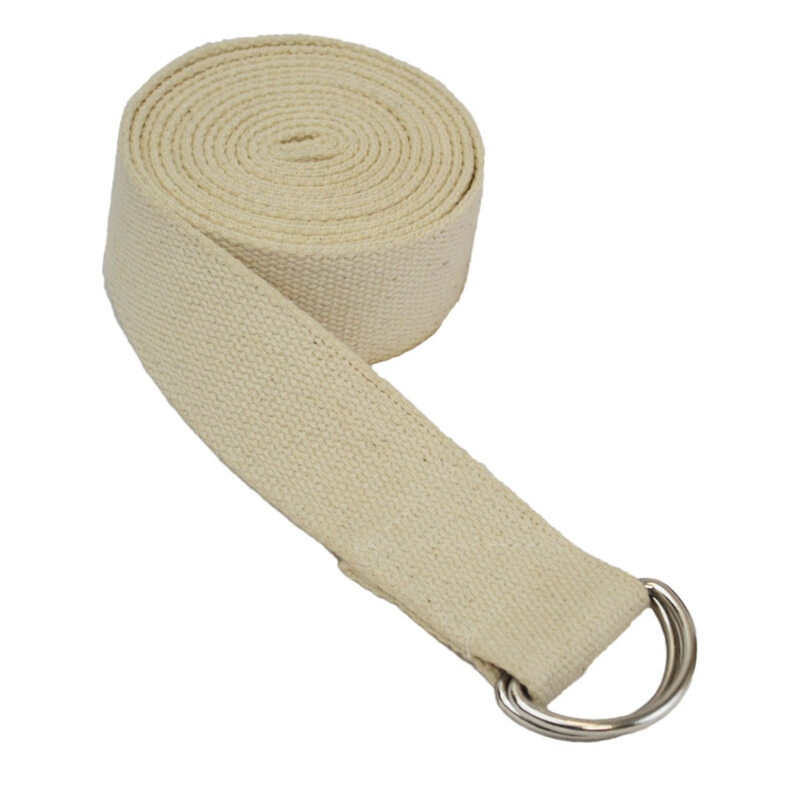 Our straps are made from natural cotton so your skin will love them (competitors use plastic nylon). Six foot length should be enough length for most yogis, but if you are tall or like extra length, check out our 8 foot and 10 foot options. Our yoga straps arrive individually-wrapped for convenient resale in yoga boutiques. Yoga Props are useful for yoga students at all skill levels. Whether your students need help maintaining proper alignment in postures, or need extra length to simply connect their limbs together when they are not strong or flexible enough to do so on their own, you will find these Yoga Props are just what the doctor ordered! 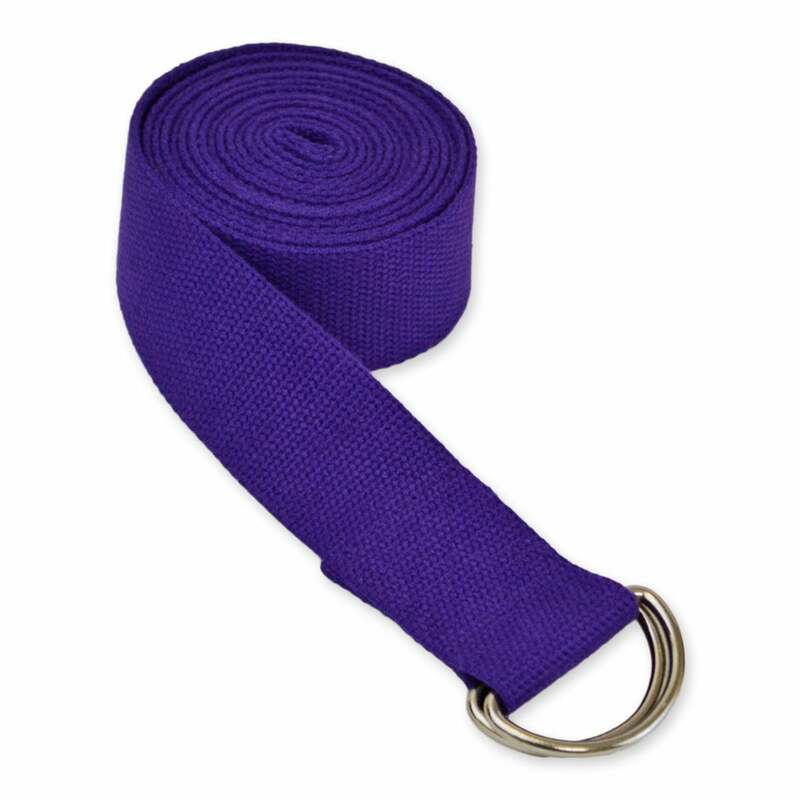 Our Yoga Props are sturdy and durable and made of 100% cotton, and feature a metal D-ring buckle. 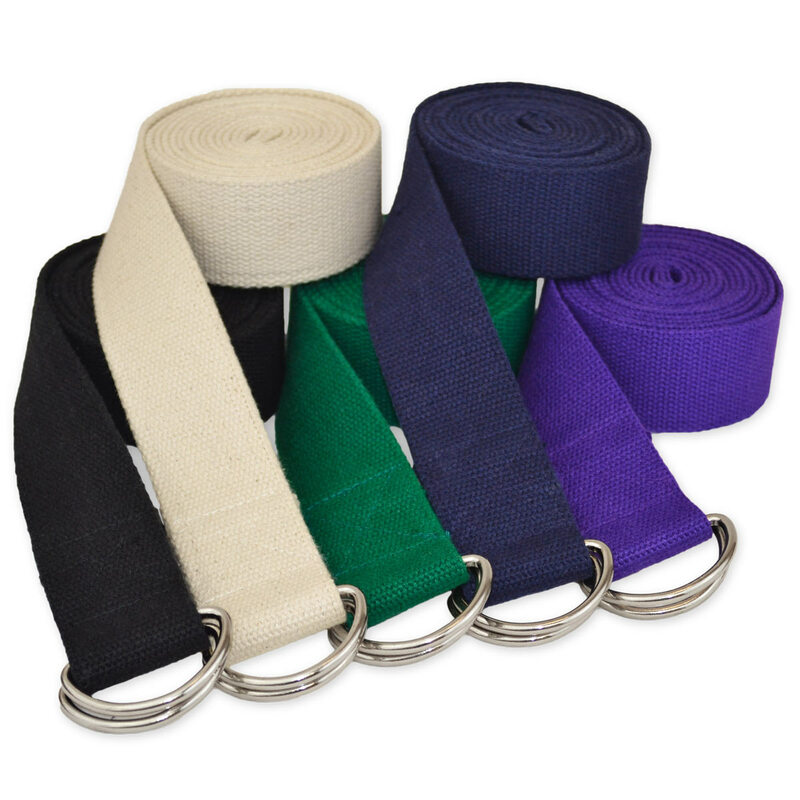 We purchased 6 and 8 ft straps from Yoga direct when we opened the studio 12 years ago. All the equipment has been great! No issues including these shorter yoga straps. The d rings are still smooth and shiny, no signs of rust or wear. No fraying of the straps either. Thank you! The only reason why we haven't purchased more is because ours are lasting so long! These are great straps. Very high quality and very durable. The D rings making adjusting the straps very quick and easy. Love these straps! Quick shipping! Will purchase more! Got this as a gift for myself for Christmas. It helps me to go deeper into my yoga stretches. Great Buy! The straps are good quality, just a little stiff but should last for a very long time.. I ordered 22 of these straps as a gift for my Yoga classmates. They are very well made and quite sturdy. Phone ordering was simple thanks to the delightful young lady who helped me.